Are you feeling overwhelmed or stressed? Overworking or bringing work home with you every night can lead to burnout and cause health issues. Commit to these 3 habits to help improve your work-life balance in no time! Ever feel like your not being productive? You’re at your professional office space, you’re getting some work done but you feel like you’re not working at your full potential. It’s lunchtime, so you just pull out your lunch, eat and go back to work. Now you feel restless but you could have avoided it if you took a break. What do we mean by taking a break? Get some movement, stretch a little bit! Most people think that we have to feel a certain way in order to get things done. The reality, however, is that mood follows actions. For example, if you make yourself smile, we bet that your mood improved by the simple act of just smiling. So go out, take a lunch break, and socialize a bit, as it will amplify your mood, increase productivity, and enhance your creativity. How you start your mornings, determines how your whole day will go. If you start off in a grumpy mood, you’ll be grumpy all day. If you wake up and talk yourself into a good mood. Chances are you will have a good day. Starting mornings right is so crucial to our well being. So why not start it off right? Studies show that getting constant email notifications has been linked to higher levels of anxiety and increased levels of stress. Do you really want to start off your mornings like that? Instead, we recommend you slowly ease into your day. Start your mornings by eating a healthy breakfast, it will elevate your mood, connect with loved ones at home to improve relations, or even sip a cup of coffee to jump-start your day. Trust us, you will feel a whole lot better! Are you tired of stuffy cubicles or overcrowded coffee shops? If you are looking for a professional office space rental that is also affordable, we have the ideal space for you! Our professional office rental space includes executive private offices, meeting rooms, and more. Not only can you rent a private office space in Santa Barbara at WORKZONES, but you’ll have access to our premier coworking space too. Want to stretch your legs during the day? Grab a cup of coffee from our JAVAZONE and head over to our communal tables for a break from work and to chat with like-minded professionals life yourself. Looking for workspace for rent? Contact us for pricing or to schedule a tour of our professional office space! For a self-starter, leasing a place can be costly, especially when you’re just starting out. At the same time, you may want the benefit of having an office space that gives you access to great amenities, networking opportunities, and flexibility in choosing your schedule. The solution? coworking! Here are 3 things you should consider when choosing your workspace. Working from home can feel isolating and unmotivating. By working in a shared coworking space like WORKZONES, you can feed off the energy of those around you. Working alongside other professionals helps to encourage you to reach the next level in your career as you learn new ways of thinking and get feedback from your fellow co-workers. Wouldn’t you prefer to choose when you work without having to work from home or from a coffee shop? That’s why you want to look for a flexible office space! WORKZONES coworking space in Santa Barbara offers the flexibility you desire. WORKZONES gives you the opportunity to collaborate with other professionals while still giving you the flexibility to choose your hours. If you are someone who prefers the community you get from working in an office but wants the flexibility of working from home, then coworking is a great option for you. Coworking gives you a space where you can collaborate with others while still being able to choose your hours. A shared office space like WORKZONES gives you easy access to meeting new people and hearing new ideas in your own time. Are you ready to collaborate with other professionals like you? Check out WORKZONES coworking space in Santa Barbara today! Call 805-966-3722 or contact us online to learn more about your flexible office space! Networking is a great way to connect with other professionals; but there is a lot to consider when planning a great networking event. Besides having the right special event space, it is important to know what other things need to be considered when planning a networking event. Simple registration is key to bringing in a large networking group. Many times, people don’t attend an event because signing up was just too difficult. Create an app or use a premade app, like Eventbrite, so planning a networking event can run smoother. Having others register in advance will give you a better idea of how many people to expect. Also, it gives you a chance to relay any extra information they may need to know before the networking event. Workshops are a great way of implementing ideas for individuals who are looking to learn. There are so many topics that can be discussed in the business realm, and having workshops is an easy way to bestow any information. You can talk about things like SEO, how to become a better leader, how to be more approachable, etc. it is up to you to choose! If you want people to know about your networking event, you have to know how to market it the right way – make friends and be social! The best way to spread awareness about your event is to talk about it with everyone that you know. Write a great blog about your event, content is surely key when you want people to learn more about your networking event and to constantly be reminded of it. Also, be sure to build the excitement and buzz around your event. Make people feel as if they do not want to miss out on it! Follow up with a thank you email showing your appreciation to all those who showed up. If you want to maintain a big networking community, it is best to stay in contact with all those who came to the special event. Using the information they included on the app when they signed up is an easy way to contact them. It’ll be a reminder for them to attend the next event as well as an opportunity to recruit others. Follow up with the attendees and be open to any of their suggestions and ideas for improvement for the next networking event. Are you ready to collaborate with other professionals like you? WORKZONES event space is a great place to hold networking events. Contact WORKZONES at 805-966-3722 or contact us online to reserve the space today! Coworking has been around for a while, but it seems like it has become more popular in recent years. Now, it seems like coworking spaces in Santa Barbara are growing daily, and professionals are encouraging their friends to try the new office concept. The question is, why has coworking become so popular? At WORKZONES, we believe that there are a few reasons why coworking spaces have become more prevalent. Through coworking, professionals in different fields are able to bring their tasks to the workspace and complete them individually while still feeding off of the energy you get from being around other people. Workplace politics are removed, and professionals are able to bring their whole selves to each task and push forward to come up with new solutions in their respective fields. Unlike a traditional office, coworking allows individuals to rent a workspace by the hour. Because of this, professionals can choose the hours they want to work each day and can customize their work schedule to their individual needs. 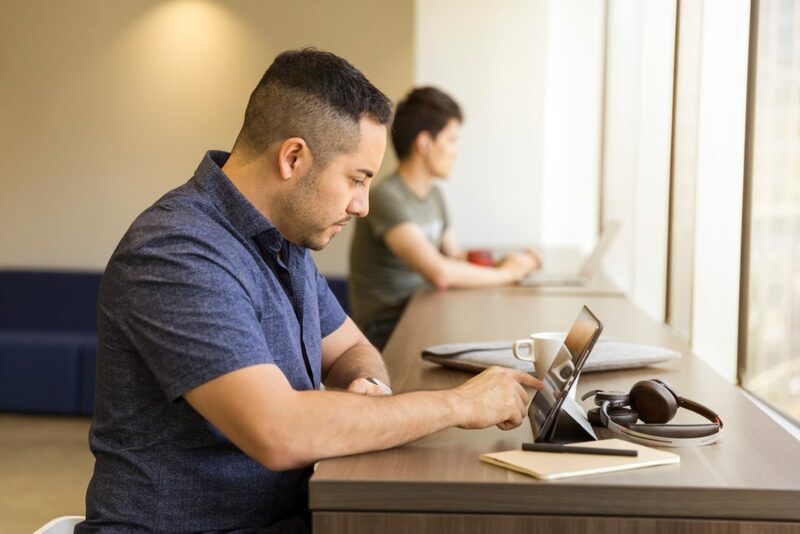 At coworking office spaces like WORKZONES, professionals can become members, which gives them additional coworking benefits such as access to shared office spaces and private offices. Coworking gives professionals access to a community-oriented environment in which they can meet other professionals just like them and can enjoy networking events. 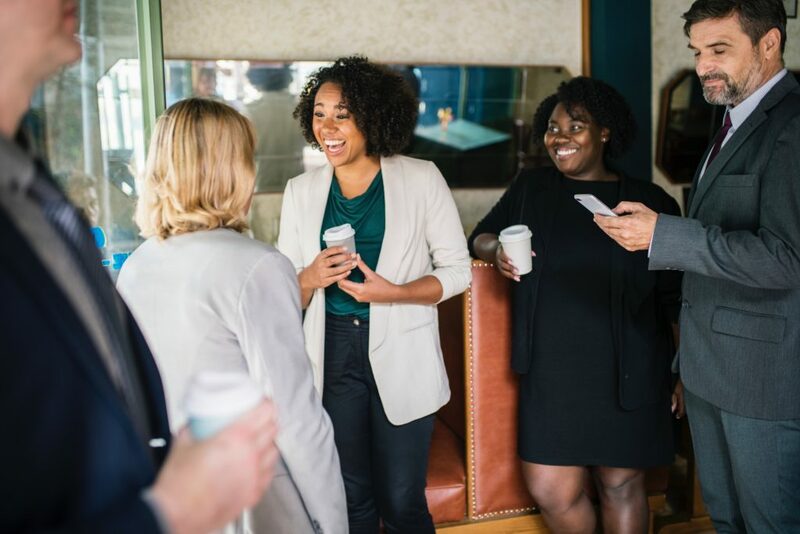 At WORKZONES, we offer events such as Monday Member Mixers and Unity Development Santa Barbara Meetups to give our members the opportunity to connect and grow their business network. 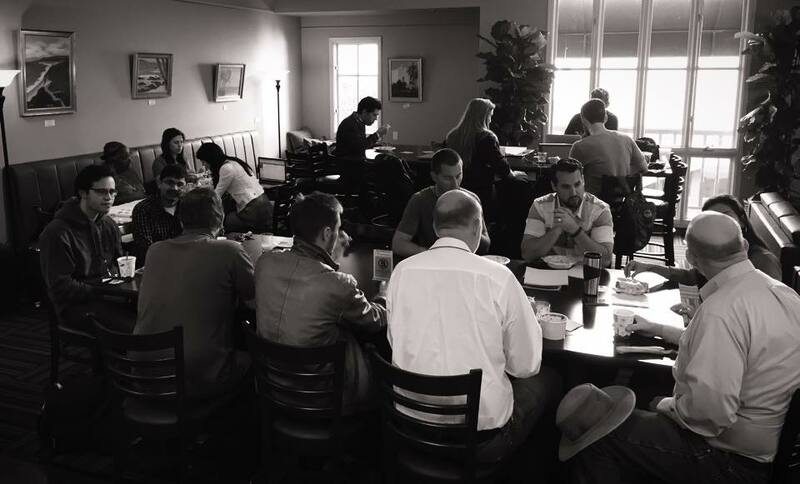 Besides networking events, Santa Barbara coworking office spaces offer a coffee shop-like atmosphere where all of the attendees are dedicated to growing in their fields. Have you been looking for a way to get more out of your work? Maybe you’ve been looking for a Santa Barbara workspace that allows you to keep a flexible schedule or that is community-focused. If so, you’ve come to the right place! WORKZONES premier coworking space is located in the heart of downtown Santa Barbara and is perfect for professionals who are looking to improve the way they work. Want to learn more about coworking? Call 805-966-3722 or contact us online today! If you’re a work-from-home professional in Santa Barbara, you may be wondering if there is a more professional space where you can work that still gives you a flexible work schedule. 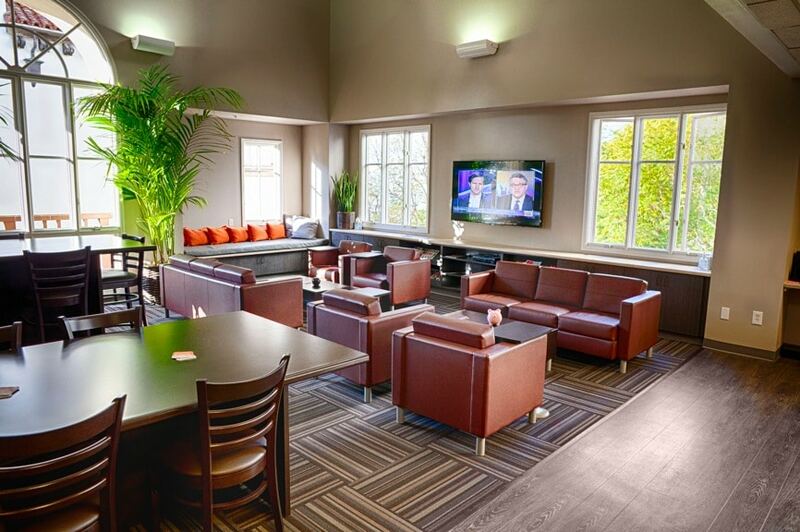 At WORKZONES, we’re proud to say that we have the right space for you in the heart of Downtown Santa Barbara! We offer private office spaces and shared office spaces that give professionals the privacy they need while still allowing them to network and keep a flexible schedule. To help you choose the right office space for your professional needs, read about the differences between our shared office space and private spaces! We want to give professionals in Santa Barbara the opportunity to work a flexible schedule. That’s why we have created shared office plans that allow individuals to work in a professional space without having to sign a lease. WORKZONES shared office space is called the OWNZONE. In our OWNZONE, professionals are given the opportunity to work at a desk in WORKZONES premier coworking space. This is a wonderful shared meeting space where professionals can work on their individual projects while networking with professionals in different fields. There are two OWNZONE memberships: OWNZONE Open and OWNZONE OFFICE. Ownzone Open – Your own dedicated desk in our premier coworking space for $249 per month. Ownzone Office – Your own dedicated desk in a private office for $349 per month. When you’re deciding which OWNZONE plan is best for you, consider this: would you prefer to secure a shared office space, or would you rather choose to work in our premier coworking space? For professionals needing to secure an office space on a more frequent basis or needing more privacy while they work, WORKZONES offers a private office space where individuals can choose to pay a monthly fee to secure a quieter space. This private office space is called the OFFICEZONE. Each private office is fully furnished, and individuals can choose to lease an office that can hold between 2 and 6 people. With our OFFICEZONE package, the monthly fee includes utilities, fast and secure Wi-Fi, mail, printing/scanning, and complimentary coffee/tea. OFFICEZONE plans also give professionals access to our coworking office space, so you can still choose to network at WORKZONES when you have a private office space. Did You Find Your Zone? Are you interested in our OWNZONE or OFFICEZONE? Book a room today to secure your place! If you are interested in a conference room rental or would like to learn more about our OWNZONE and OFFICEZONE, call (805) 966-3722 or request a tour today! Are you looking for a new way to work? Try coworking! 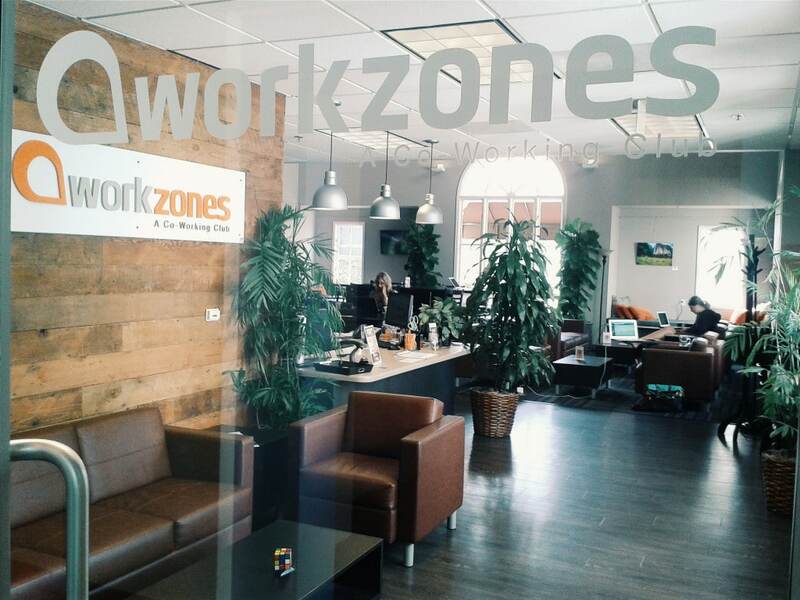 WORKZONES offers shared office space in Santa Barbara. 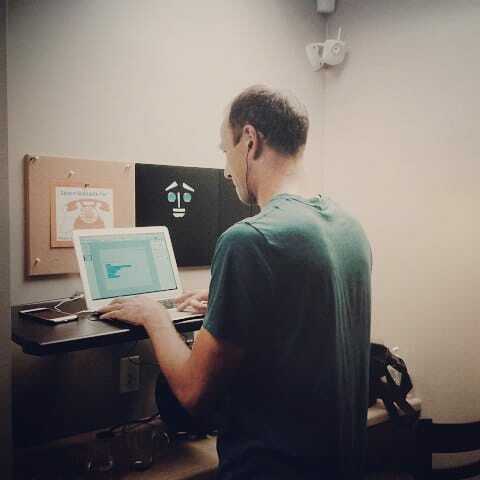 Entrepreneurs, lawyers, designers, freelancers, and more use our shared workspace every day. If you’re tired of expensive office space, noisy coffee shops and working from home – we have the space for you! Why Work At WORKZONES Vs. A Private Office Space? It’s becoming more noticeable that people want to spend more time meeting others than solely working alone. Working in isolation can be beneficial at times but as humans we need social interactions to really thrive in an environment. Wellness Trends for 2018 include less screen time (Mind Body Green). 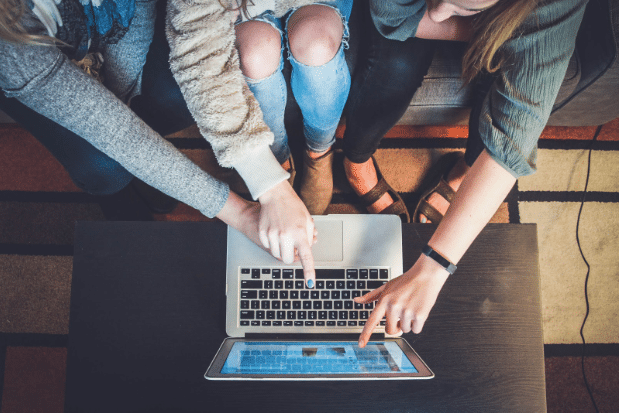 It’s become apparent that millennials crave in-person connections and understand that in order to cultivate mindful relationships that they need in order to thrive both personally and professionally. This means taking the necessary time to put their smart phones down and focus their attention on the people around them. In a coworking space professionals are able to get work done in a space that thrives on fostering relationships and new ideas. When surrounded by passionate and like-minded individuals, professionals can embrace that energy and put it into the work they are doing. 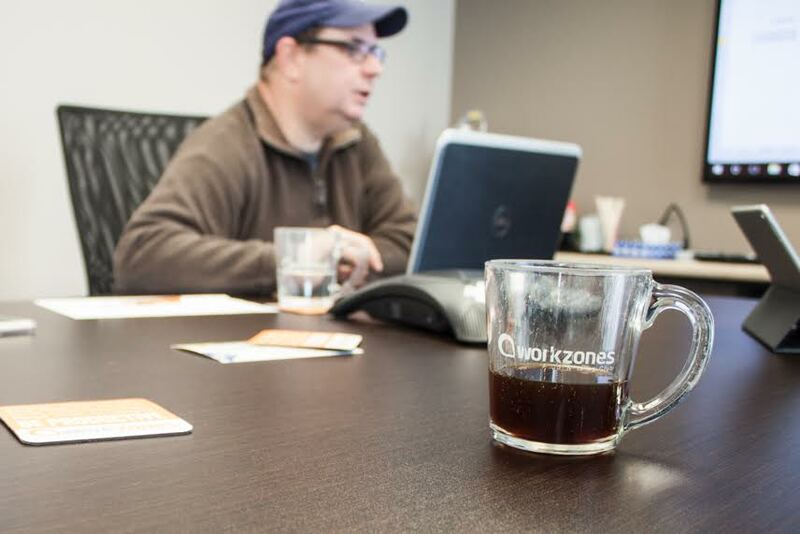 At WORKZONES it isn’t just about providing our members with a great shared office space in Santa Barbara. It’s about providing members with a workspace close to them, where they can be productive, innovative and collaborative while surrounded by others who are just as passionate about their work. Whether you need a desk, a meeting room or a private office space, our shared workspace can provide you with all of the things that you need to get the work you need done (and maybe even get a head start on that passion project you’ve been putting off!). Not only are you surrounded by like-minded people but at a shared office space you basically get all of the perks of having your own workspace without the high costs that are associated with leases. 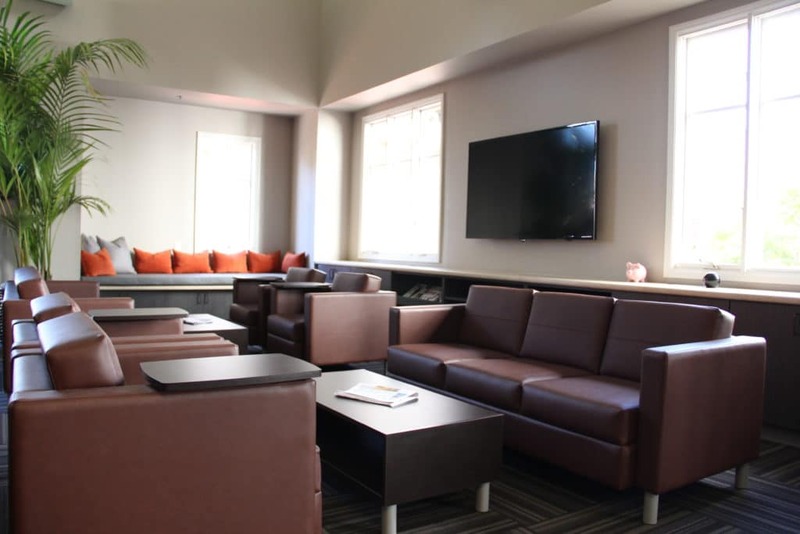 Our members receive free coffee and tea, Wi-Fi, multiple outlets throughout the facility, guest passes printing and scanning options, as well as discounts on private meeting rooms and coworking day passes. With choices designed to fit the specific needs of independent and self-employed professionals, WORKZONES has the perfect office solution for just about everyone. What Are You Waiting For? Start Coworking Today! Come check out our space with a day pass and see how you can find your perfect workspace at WORKZONES. Our shared office space is located in the heart of downtown Santa Barbara. WORKZONES includes many private rooms and independent tasks, as well as a workspace that is collaborative with communal tables and shared workspace. We invite you to come down to WORKZONES and give coworking a chance! Contact us today to learn more or to schedule a tour for yourself! 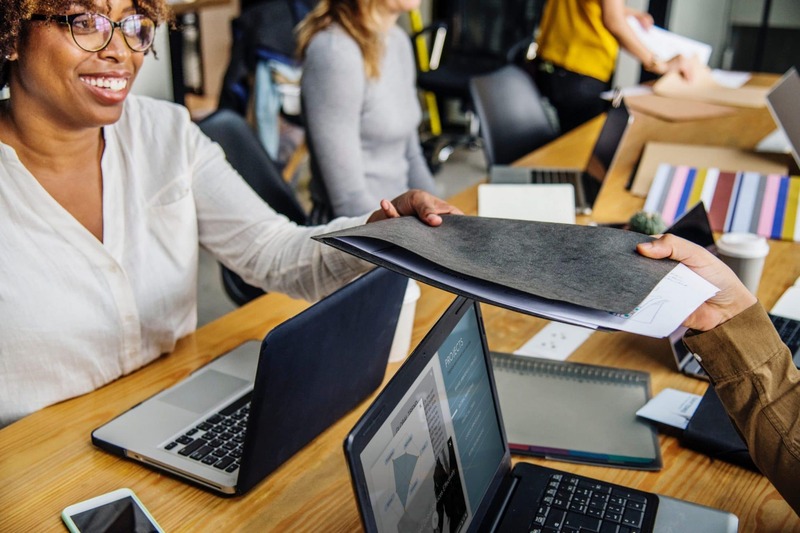 Choosing the right workspace for your business is one of the most important decisions that business owners, entrepreneurs and other professionals have to make. Traditional office spaces have long-term leases with a big price tag and working in a coffee shop 7 days a week can surely add up. Why not try something new? Forget office leases, working from home and cafe squatting. Allow yourself to try a new kind of workspace – surrounded by like-minded individuals who are ready to experience the new way of getting work done. Why Should You Give Coworking A Try? Finding the right space that fits can be a daunting task. For many professionals, the price can be a concern when it comes to traditional office settings. No one wants to get buried by a high-priced lease or locked into a contract in an office space they don’t love. At our downtown Santa Barbara coworking space, we offer private offices, event areas and more – that’s everything you need at one low price all in one convenient space. Experience something different every time you walk into the office. Looking for a private desk? Done. Want to collaborate with others at a communal table? Need to conduct an important meeting or interview? Meeting rooms are available by the hour. Like we said, coworking spaces offer a little bit of something for everyone. With the traditional office, you pay for operating/overhead costs associated with the business, which can add up to some hefty bills for your business. Instead, at a coworking space, you can put those costs towards a membership fee and pay for the costs that are important to your needs like parking spots, a stocked coffee supply, pay as you go meeting rooms and more. The coworking industry was born out of the need for today’s workforce to choose how and when they want to work. Our coworking space offers month-to-month memberships instead of an office lease which allows you to you to work here when you want, whether it’s for six months or six years – the choice is up to you. With choices designed to fit the specific needs of independent and self-employed professionals, WORKZONES has the perfect office solution for just about everyone. Members of our coworking community can feed off of the vibe of positive energy throughout our space which can ignite passion and important networking opportunities. Grab a cup of coffee with a member who is trying to get their startup off the ground or share a table with a budding freelancer. Our community is made up of individuals who understand the importance of getting their work done in a space that’s all their own. WORKZONEs offers fast and reliable WIFI so your work is never interrupted due to internet outages. Unlimited premium tea and coffee from Peet’s and Kona – we offer the good stuff to keep you in the zone when working on that huge project. Our open work area contains a variety of seating options depending on what type of workday you’d like to have and you’ll never be far from an outlet when you’re at our coworking space. Looking for the perfect space to help your business flourish? Bring your creativity and new ideas to WORKZONES! Schedule a tour at WORKZONES today and experience the benefits of coworking in the heart of downtown Santa Barbara. Are you sitting too much? Try standing while you do your work! workzones member Joe Strandell standing while he works! Studies show that chronic, prolonged sitting is bad for your health. Modern life is, unfortunately, conducive to sitting; we sit to commute, we sit at computers, at meetings, at home, to eat. Most adults in North America sit for 9 to 10 hours a day! When you sit for long periods of time, your circulation is constricted, your metabolism slows, your muscles stop, and tissue tightens; basically your engine is set to neutral. Even if you exercise, a sedentary lifestyle is linked to health conditions that will ultimately shorten your life span. Working out for one hour a day but then sitting for the remainder is counter-productive. Findings support the idea that strategies to increase the amount of time spent standing (or walking) rather than sitting may benefit both the heart and metabolism. 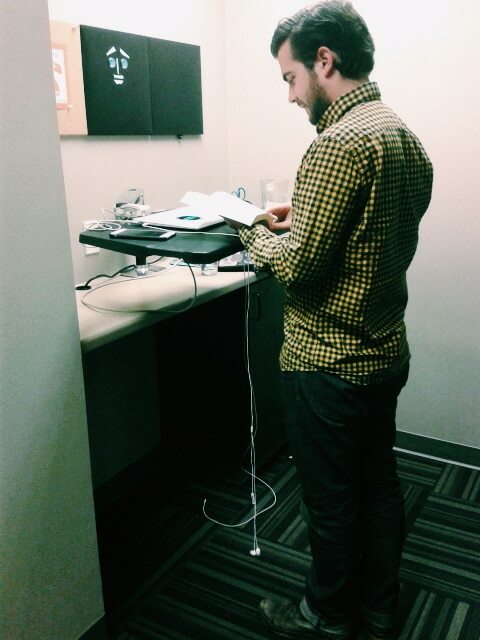 Fear not, co-workers, workzones has at least one solution to this workspace problem: a newly installed standing desk. If our lovely coffee machine doesn’t have you racing towards it every few hours, we also suggest setting an alarm to remind you to GET UP! Ergonomists recommend that sitting be broken up by periodic standing and moving throughout one’s day. Ideally, you should walk around for three minutes every half hour. Go set those alerts now and we will see you on your next movement break! Following the amazing year workzones has had we want to celebrate International Coworking Day by making sure everyone knows about coworking and how utterly cool it is.